One of three parks projects has the chance to receive $20,000! Through an initiative called “Meet Me At The Park,” one of three local parks and recreation projects will receive a $20,000 grant – and Seattleites get to choose which one. This Earth Month, the National Recreation and Park Association (NRPA) is collaborating with The Walt Disney Company, including Disney|ABC Television Group and ESPN, to revitalize parks across the U.S. including projects right here in Seattle through Meet Me At The Park – an initiative that gives back to the places that shape so much of our lives. 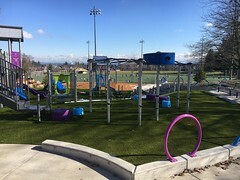 Seattle Parks and Recreation aims to make Seattle a better place to live by providing places and programs that encourage people to be healthy and connect with their community, while supporting a healthy environment. That’s why throughout the month of April we’re asking residents to vote on which project they’d like to see receive $20,000 in grant funding. “Thank you to the National Recreation and Park Association and the Walt Disney Company for this wonderful opportunity, and for supporting projects that promote healthy people, a healthy environment and strong communities. All three of these project choices offer Seattleites meaningful ways to connect with their communities and explore open spaces, and I encourage everyone to vote throughout Earth Month,” said Seattle Parks and Recreation Interim Superintendent Christopher Williams. Summer in the Parks Program: Summer in the Parks Program provides a free summer lunch program and locally relevant environmental education activities to youth. This project will allow staff to run the program in three additional parks and to double the length of the program. Camp Long Community Camp Outs: This program provides overnight camp out experiences to diverse low-income communities. Children and caregivers are given the opportunity to walk trails, learn about nature, enjoy camp fires, and have their first experience camping overnight. This project will allow the program to be expanded to an additional community of mostly immigrant and refugee families. Youth Summer Sports Camps: This summer program will provide 15 free half-day camps throughout Seattle in a variety of sports for youth including track and field, non-tackle football, volleyball, basketball, tennis, soccer and lacrosse to encourage youth to be active, healthy and explore many different sports opportunities. By visiting www.NRPA.org/DisneyMeetMeAtThePark, park supporters can vote daily for their favorite park project. At the end of April, the park project with the most votes will receive grant funding. Everyone who votes will be entered into a drawing for a GoPro Prize Pack. Last year, the public voted for Connecting Kids to Nature at Carkeek Park to win $20,000. With that funding, Seattle Parks and Recreation helped restore a vital environmental education connection trail between the salmon-bearing creek in Carkeek Park and the Viewlands Elementary School that sits adjacent to the park. This Earth Month, show how parks invigorate your community and vote to improve local parks right here in Seattle. Encourage your friends to vote too by taking a selfie in your favorite park and using the hashtags #MeetMeAtThePark, #Parkies and #CelebrateEarth. For more information and to vote, visit NRPA.org/DisneyMeetMeAtThePark. Construction on Bell Street Park begins Thursday, March 21, 2013. Seattle Parks and Recreation awarded the construction contract to AGR Construction Inc. The project will be divided into phases with each block being constructed individually to minimize disruption to local residents and business. The completed park will run between 1st – 5th avenues on Bell Street. AGR Construction will begin phase one between 1st to 2nd avenues with completion anticipated by the end of May 2013. Seattle Parks is providing safe access to all businesses and residents along this portion of Bell Street during construction. 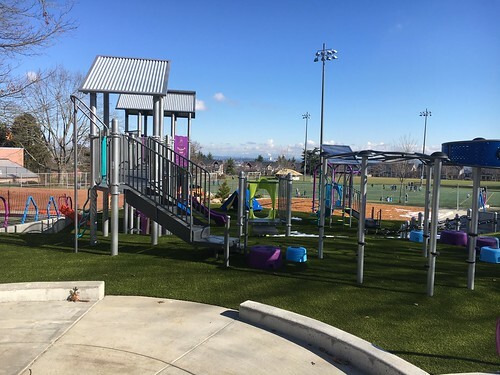 Parks appreciates the neighborhood’s consideration and cooperation during construction and encourages residents to contact Project Manager Patrick Donohue with construction concerns. Bell Street Park will be a unique park for Seattle, providing much needed community open space for the high density Belltown neighborhood. The Parks and Green Spaces Levy project provides the funding to convert one traffic lane and reconfigures parking to create a park-like corridor through the heart of Belltown on Bell Street. The project was first envisioned in the 1998 Belltown/Denny Triangle Neighborhood Plan with leadership from the Belltown Housing and Land Use Committee. 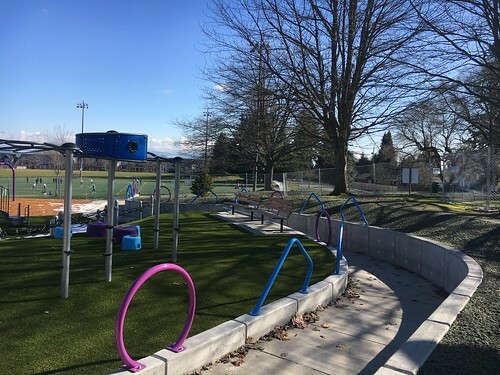 Subsequently, the Belltown Community Council, Belltown Business Association and other community groups requested that the City develop the project as a response to inadequate open space facilities in the neighborhood and the difficulty in purchasing property for such uses. 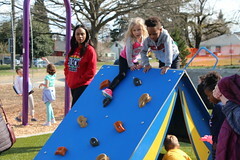 For more information please contact Patrick Donohue, project manager, at 206-684-9286 or patrick.donohue@seattle.gov or visit http://seattle.gov/parks/projects/bell_street/boulevard_park.htm. 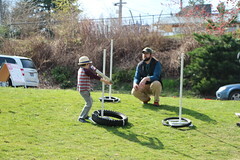 In ongoing efforts to preserve and restore Seattle’s urban forest, a continuing partnership comprised of Seattle Parks and Recreation, the Washington Native Plant Society (WNPS), Green Seattle Partnership (GSP), and the King County Conservation District offers free stewardship training this spring on consecutive Fridays and three Saturdays between April 19 and June 28. No experience is necessary. Details about the class schedule and venue will become available in the next few weeks at www.wnps.org and www.greenseattle.org. Enrollment is limited, so if you are interested in becoming a Native Plant/Forest Steward, please contact Joy Wood, WNPS Stewardship Coordinator, now at npsp@wnps.org or 206-527-3210 to have your name placed on a mailing list to be notified about the details of the program as soon as they become available. Graduates of the WNPS stewardship training will be cross trained as GSP Forest Stewards. WNPS has graduated more than 500 stewards since 1996; they have contributed more than 120,000 volunteer hours dedicated to education, conservation and restoration of native flora in Seattle and surrounding areas. The 100 hours of specialized training from regional experts includes Puget Sound ecology, native plant identification and uses, urban forest restoration, invasive management and community volunteer management. In exchange for the 100 hours of free training, Stewards are asked to contribute 75 hours of volunteer service in one of six designated Seattle Parks restoration areas and 25 volunteer hours to WNPS public outreach projects in the Seattle area. To learn more about WNPS and GSP stewardship programs, please go to: www.wnps.org and www.greenseattle.org for additional information. American Forests announced recently that Seattle’s urban forests are among the top 10 in the nation. Suzanne Tidwell’s yarn bombing in Occidental Square Park in 2011 and 2012 symbolizes how much we love our trees in Seattle. The ranking is based on six criteria: civic engagement, strategic planning, accessibility to the public, overall health of the urban forest, documented knowledge and management activities. American Forests cited Seattle’s recently completed an iTree analysis and Interactive Habitat Map, designed to let urban forestry team members know not only where trees can be planted, but also what kind of species would be most desirable. The organization highlighted our partnership with the Green Seattle Partnership (GSP) and Forterra as unique models that can be embraced by other cities in the region, across the country and around the world. Through our partnerships with GSP and Forterra, Seattle Parks and Recreation has more than 800 acres of forested land in restoration, boasts more than 500,000 volunteer hours annually and has 130 volunteer forests stewards. Key among their findings was Seattle’s 4.35 million trees are estimated to be worth about $4.9 billion, contributing to $5.9 million in energy savings and storing two million tons of carbon. Seattle Parks and Recreation plays a major role in the keeping the urban forest healthy and sustainable. The City of Seattle’s goal is to achieve 30% tree canopy coverage. Seattle Parks and Recreation’s natural areas have 80% tree canopy coverage, which shores up the City’s overall average. Other cities named the study include: Austin, Charlotte, Denver, Milwaukee, Minneapolis, New York, Portland, Sacramento, and Washington, D.C. When it comes to a commitment to care for greenspaces in the nation’s leading cities, conservation organization American Forests has found that some urban areas are doing much better than others. Through a combination of an in-depth survey, independent data and a vote by a blue-ribbon panel of leading urban forest experts, the nonprofit has named the 10 best U.S. cities for urban forests: Austin, Charlotte, Denver, Milwaukee, Minneapolis, New York, Portland, Sacramento, Seattle and Washington, D.C.
Denver estimates $18 million in tourism can be attributed to its park system, while also increasing health benefits to the tune of $65 million. Charlotte’s trees provide more than $900,000 in energy savings annually. Milwaukee’s urban forest helps remove 496 tons of pollution annually, adding up to a savings of approximately $2.59 million. 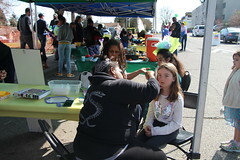 The degree to which there is strong civic engagement between the city, nonprofits, community groups and individuals in maintaining the urban forest. The degree to which the city has developed and implemented urban forest strategies to address issues and challenges such as energy conservation, stormwater and recreation. The accessibility of urban forest and greenspaces to the public, including percentage of park land per capita. The overall health and condition of the city’s urban forest. Each city’s documented knowledge of its tree canopy, tree species diversity and age class range. The status of urban forest management plans and other important management activities, such as tree canopy goals and ordinances. One of the reasons American Forests undertook this project, according to Steen, is to showcase the tangible value that urban forests provide to cities and their residents, including economic, aesthetic, social and physical well-being. Various studies have shown a correlation between trees and lower rates of crime, reduced levels of stress and lower body mass. To learn more about the 10 best cities for urban forests, visit American Forests’ website at http://www.americanforests.org/10bestcities. American Forests restores and protects urban and rural forests. The nonprofit officially launched its urban forestry program in 1982, although the organization had been supporting urban forestry efforts for decades. Over the years, American Forests has sponsored conferences on urban forestry, created an early urban forest analysis tool, CITYgreen, and advocated on behalf of urban forest legislation and support. American Forests is committed to raising awareness about the vital benefits urban forests provide and the science-based tools that are out there to best assess those benefits. In 2012, the organization published Urban Forests Case Studies: Challenges, Potential and Success in a Dozen Cities to serve as a resource and guidebook for cities trying to improve their urban forests. Learn more at http://www.americanforests.org/urbanforests. This project was funded by Urban and Community Forestry of the U.S. Forest Service, Department of Agriculture. The Seattle Board of Park Commissioners recently sent a letter to the Gateway Pacific Terminal regarding its opposition to the passage of coal trains through the Seattle area. The letter is to be included as part of the official public comments in the Environmental Impact Statement. In the letter, the Board expressed concern about air, water, soil and noise pollution, train accidents, park access delays, derailment and reduced property values. The Board also pointed out the connection between burning coal and global climate change and its impact on Seattle Parks and Recreation, which is the steward of the City’s public parks and open spaces. The full letter can be read here. A map of all parks in close proximity to the route of the proposed coal trains and an inventory of those parks can be found on the Park Board web page. The Seattle Board of Park Commissioners is a nine-member citizen board created by the City Charter. Four members are appointed by the Mayor and confirmed by the City Council; four members are appointed by the City Council; and one member is a young adult appointed by the YMCA Get Engaged Program. Current members are Antoinette Angulo, John Barber, Megan Heahlke, Jourdan Keith, Chair Diana Kincaid, Brice Maryman, Caitlin McKee, Yazmin Mehdi and Barbara Wright. 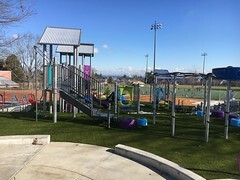 The Board meets once a month, normally on the second Thursday, to advise the Parks and Recreation Superintendent, the Mayor, and the City Council on parks and recreation matters. For more information about the Board’s position on the coal trains, please contact Park Board Chair Diana Kincaid at 206-781-2525 or email her at dianaksea@gmail.com.